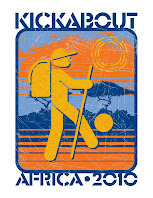 Kickabout: Africa 2010: Put Both Feet In and Give a Kickabout! Home Sweat Equity Put Both Feet In and Give a Kickabout! 0 comments: on "Put Both Feet In and Give a Kickabout!"